By celebrating World Philosophy Day each year, on the third Thursday of November, UNESCO underlines the enduring value of philosophy for the development of human thought, for each culture and for each individual. "Faced with the complexity of today’s world, philosophical reflection is above all a call to humility, to take a step back and engage in reasoned dialogue, to build together the solutions to challenges that are beyond our control. This is the best way to educate enlightened citizens, equipped to fight stupidity and prejudice. The greater the difficulties encountered the greater the need for philosophy to make sense of questions of peace and sustainable development." World Philosophy Day provides an opportunity to underline once more the importance of critical thinking to understanding changes in contemporary society. Change forces us to find new ways of living together and building fairer societies, but it can also erode trust and spark tension. In these circumstances, philosophy is an invaluable ally that draws on reflexive reasoning and engagement in dialogue, to open our minds to a wide variety of opinions and views. Such a shift of focus is crucial in a world of rising diversity. This is both the foundation on which tolerance and peace rest and a means of releasing the creative energy that drives societies forward, while respecting human rights. If, by speaking and expressing their view of the world, people change the world, then dialogue is the means by which people find significance in this. There is no genuine philosophy without dialogue and, in a globalized world, dialogue must embrace the diverse strands of wisdom that have influenced people throughout history and which are not always sufficiently detailed or documented in conventional textbooks. It is this genuine intellectual and philosophical pluralism that will enable us to identify the best viewpoints for the future. By initiating pupils, teachers and the public in the diversity of these traditions, we can lay the foundations for a global community. I hope that the manual will inspire younger generations of students and teachers and I call on all Member States and our partners to support this initiative and all others that help us to reflect on philosophy with others. This is the spirit of the International Decade for the Rapprochement of Cultures (2013-2022), and it is this wisdom that UNESCO will continue to promote in order to construct the defences of peace in the minds of men and women, in accordance with its Constitution. I have the pleasure to write to you in view of the preparation of the forthcoming World Philosophy Day(WPD), which will take place on Thursday 20 November 2014. In 2013, the World Philosophy Day was held for the eleventh time, with events being organized at the international, national and local levels. They enabled their participants to share a multitude of views and experiences, fully respecting cultural diversity, with regard to the main theme of the 2013 World Philosophy Day which is “Future Generations”. 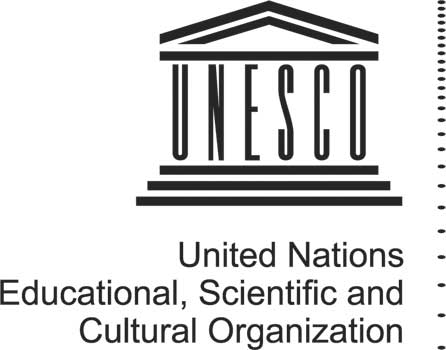 In 2014, as each year, numerous Member States of UNESCO will celebrate this Day, involving National Commissions, UNESCO Field Offices, Universities, Research Centres, specialized NGOs, high schools, etc. We would be most happy should your institution join in the celebration of WPD and would be very pleased to receive the details of any activities you may be planning to organize (description, any available visuals and materials). We hope that the celebration of the Day will be an excellent opportunity for you to promote philosophical reflection among the wider public.